Your Business’ website is an important part of the image you portray to your Media consumers. The look of your website is as important as the look of your store or office. A good design can show credibility, professionalism, and organization. A poor or outdated design can have the opposite effect. See our Portfolio for examples of our work. We design to fit your business, your budget and your competition. If you have just opened a business in Media, we can create website requiring a smaller investment and allowing for frequent shcnages as your business grows. In other cases, we can create more custom-built sites for Media businesses looking to display their unique products or services, such as a custom paint shop or photographer. In creating your web design, our web designers take a comprehensive look at your business and your budget, but also your competition. If you feel you are losing business to other Media companies with better website design, we can help get you back in the competition. 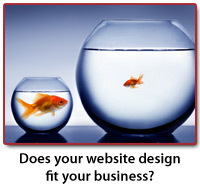 An effective website needs constant attention amd Ssme web design companies can leave you feeling like a small fish in a big pond. It is difficult to get the right person on the phone when you call, and even the most simple of updates can take weeks and cost hundreds of dollars. Contact us to inquire about managing your website. Our office in nearby Havertown is only minutes from Media, and we can help you move away form your old company without completely re-designing your site. Best of all our development rates are very competitive and most updates are handled in 48 hours. In some cases, we can even train you on a program to update your own content.